If we saw an uncontrolled or unplanned fire, the vast majority of would us turn and run in the opposite direction. Those that charge forward and take on what can be an unpredictable beast are brave beyond measure and are just flat out gutsy. Who would do such a thing? And better still, who would not only face push back from those around them to fight fires because they’re women, but do it anyways? 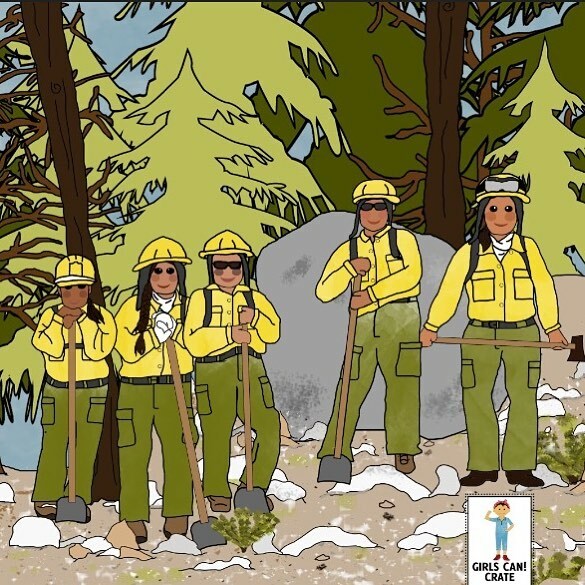 This month, we’re celebrating the gutsy ladies of the Apache 8 crew, the all-female firefighters from the White Mountain Apache Tribe. The crew of Apache 8 began out of necessity. In the 1970s jobs for women on the White Mountain Apache Tribe in Northern Arizona were scarce or didn’t provide enough for their family to live on. It just so happened, though, that at the same time the Tribe was also in need of firefighters to help protect their sacred land from forest fires. The women of the Tribe saw these two needs converge and knew they could meet them both. What began as a way to earn a decent living for their families became a demonstration in guts and bravery. The women who applied to serve as firefighters faced a lot of pushback from their community. In Apache tradition, women are expected to stay home while the man works. For many of the women applying as firefighters, though, they were the sole providers for their families and they needed jobs beyond those in the service industries. The Tribe was in a bit of a conundrum given that the only applicants of quality were women. During the application process, the women proved themselves to be more reliable, more hardworking, and more dedicated. This did not go unnoticed and it was these traits that brought them the approval of their community and Tribal Council. Thus, the all-female crew of Apache 8 began. That hurdle over, the crew then had to prove to other firefighters that they were up to the challenge. Arriving at sites, the all-male crews looked at Apache 8 with doubt and disbelief. How could they possibly keep up and work alongside the men to combat huge fires? Cheryl Bones, the crew chief, tells the story of one of the first fires they were called to as a newly-formed crew. Apache 8 arrive at the meeting point and are to be led to camp by another crew. The leader of that crew heads out towards base and suddenly stops after just one mile, telling the women to rest before continuing onward. After their break, they all continue on only to stop for yet another break after only another mile. It became apparent what was happening—the men didn’t think that as women they manage the ups and downs of the terrain with their gear strapped to their backs. Talking amongst themselves, the women decide to show the men just how tough they are. Without waiting for orders to begin again, Apache 8 stands up, marches forward, and pushes on ahead. They make it to base ahead of the rest of the men. That was the moment when they began to earn their reputation as an elite firefighting crew that worked hard, if not harder, then the all-male crews around them. To this day, Apache 8 is known as the best of the best. They are called to fight forest fires across the United States and continue to prove over and over that women have the guts and the physical fortitude to combat the flames that threaten the land. This is why we wanted to celebrate these amazing ladies. They are in a field not normally thought of as “for women” and yet, they have walked bravely towards danger, alongside men, and fought some of the biggest and most damaging fires our lands have seen. They do not back down. They do not give up. And they keep pressing into to the work, bringing honor to their Tribe and to the women who look up to them. They are one heck of a crew of gutsy firefighters. The Gutsy Firefighters crate and mini-mailers are available now through November 15! Not only will kids learn more about these incredible women, but also explore fire science and fire safety through hands-on STEAM activities. You don’t want to miss out on introducing your little to these gutsy ladies! 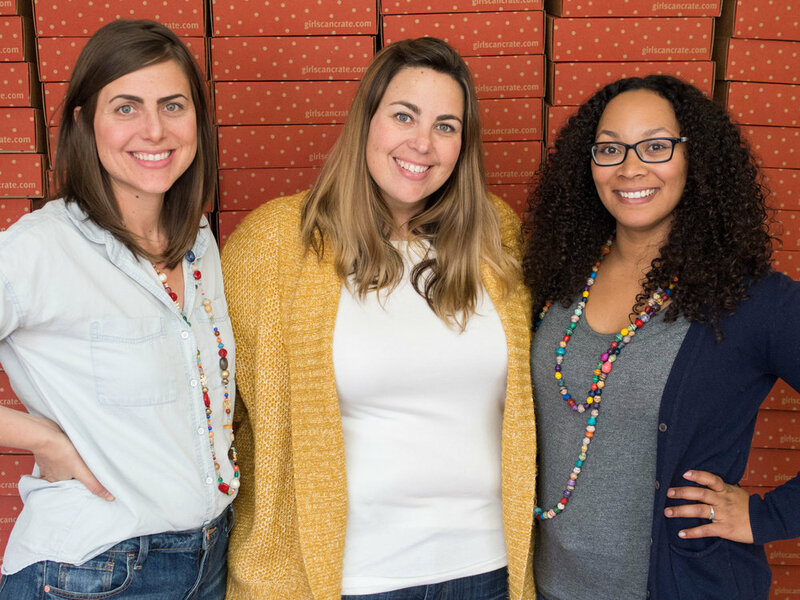 Join us today at girlscancrate.com!